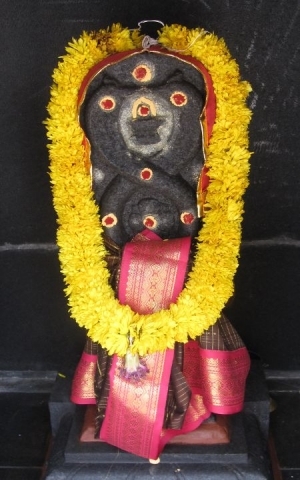 Worship of Šri Nãgendra Swãmy (in the form of the Lord of snakes) is a part of nature worship and is meant to give the message that each aspect of nature is crucial for the survival of the other. Imbalance in nature will lead to total destruction of all living beings. Šri Nãgendra’s shrine is situated outside the Temple. Important festivals are Naga Chaturthi after Diwali and Naga Panchami in August.